The African Centre for Energy Policy (ACEP) has called on government to be accountable and transparent in the disbursement of oil revenue. According to the policy think-tank, government needs to ensure accountability and transparency in the allocation of revenue for projects in sectors like Health, Education and Agriculture as indicated in the Annual Budget Funding Amount (ABFA). Ishmael Ackah, Head of Policy at ACEP, in an interview with BUSINESS GUIDE after the launch of a report on the Role of Extractive Resource Revenues in Bridging the Financial Gap in Pro-Poor Sectors, called for mineral revenue law to promote accountability and transparency to help track projects that are funded with mineral funds. This, according to him, would go a long way in promoting sustainable development. He said government has over the years failed to allocate and disburse oil revenue to execute projects in the health, agriculture and education sectors which results in delay of these projects. “The various sectors in question here come out with certain projects they want to do. They normally cost these projects and activities, so if you allocate an amount to them and you don’t disburse, what it means is that either the project would be delayed or the project will not happen that all. “Therefore there is an issue of cost overrun and time overrun, these are very expensive for the country. There are even some projects that were started and because of lack of disbursement, they were not continued. Projects that are supposed to take three years to finish sometimes take 10 years for completion,” he stated. 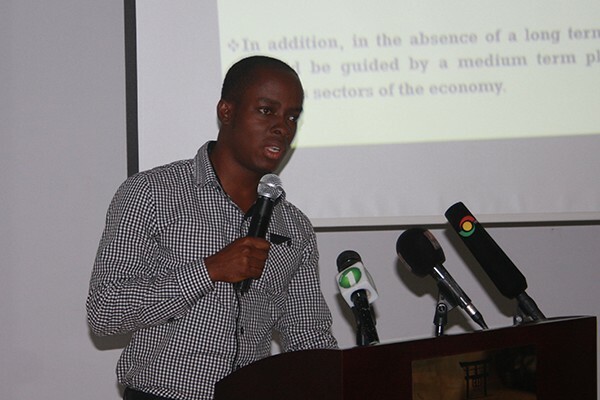 Ian Gary, Senior Policy Manager, Extractive Industries at Oxfam America, said Ghana must to do a better job in prioritizing the spending of oil revenue in sectors that actually benefit the poor. “That spending should be transparent and accountable and focused on a few projects. The oil revenue is coming into the existing system in terms of budget, and expenditure is weak so government goes through the process of creating budgets but sometimes the allocations don’t happen, sometimes the expenditure don’t correspond with what was created in the budget, sometimes there are problems with procurement and contracting,” Mr Gary said. He disclosed that the country’s major challenge has to do with the weakness in the budget system. “All these weaknesses that existed before oil was discovered are worse because more money is flowing through the system and so there is a big challenge for Ghana to make sure that these weaknesses in the budget system are managed and improved.